One thing is for sure this season- anything with embroidered roses on it is it. 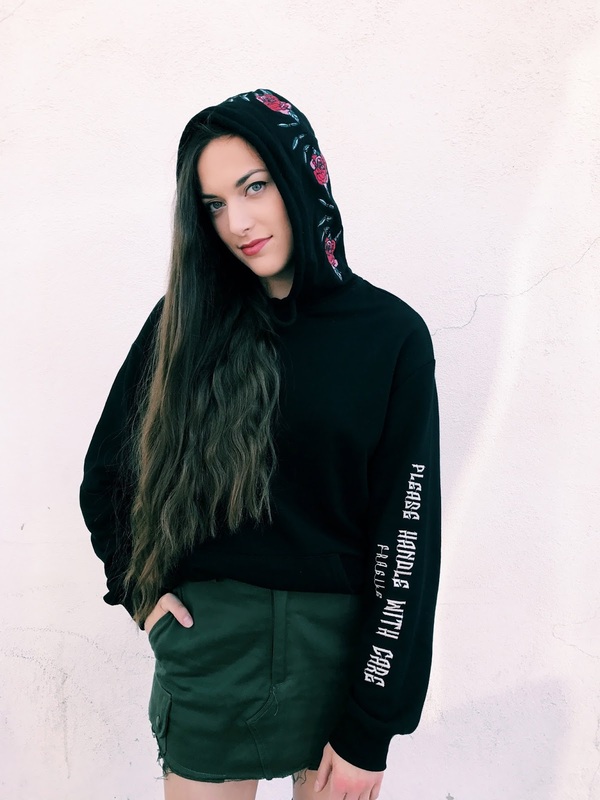 When Zaful sent me this comfy Topshop hoodie with rose patches on the hood, I knew it would become one of my everyday staples. 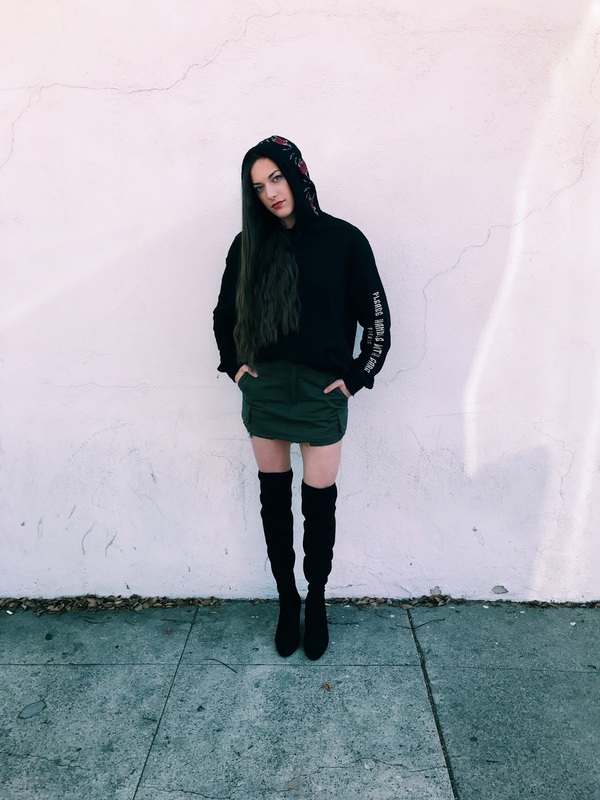 It's easy to wear casually or dress it up like I did with a mini skirt and heeled boots. 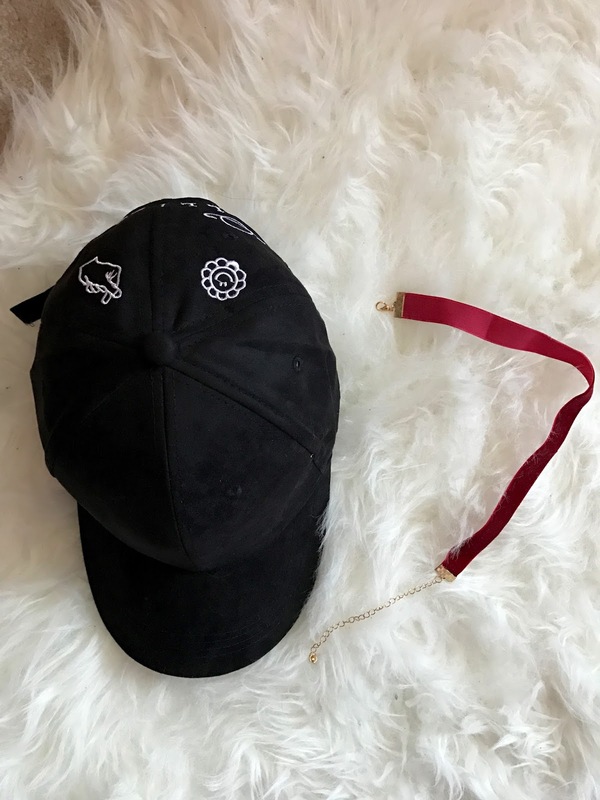 I also received a faux-velvet baseball hat with white embroidery and a red choker, also on-trend right now. The hat will be great for everyday looks and the choker will be a great accessory to any outfit that needs a pop of color. 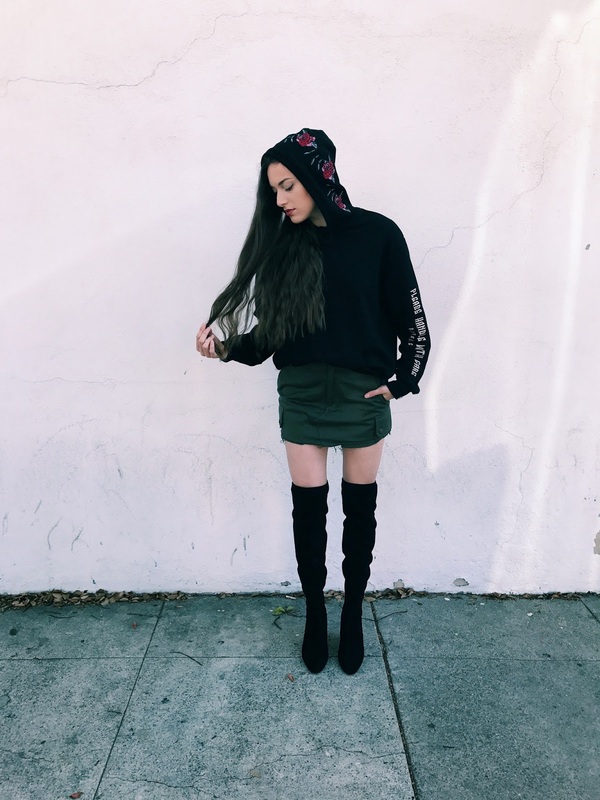 Hope you enjoy this look and don't forget to shop these items below!